Do you need more energy? Then you can practice right nostril breathing pranayama. 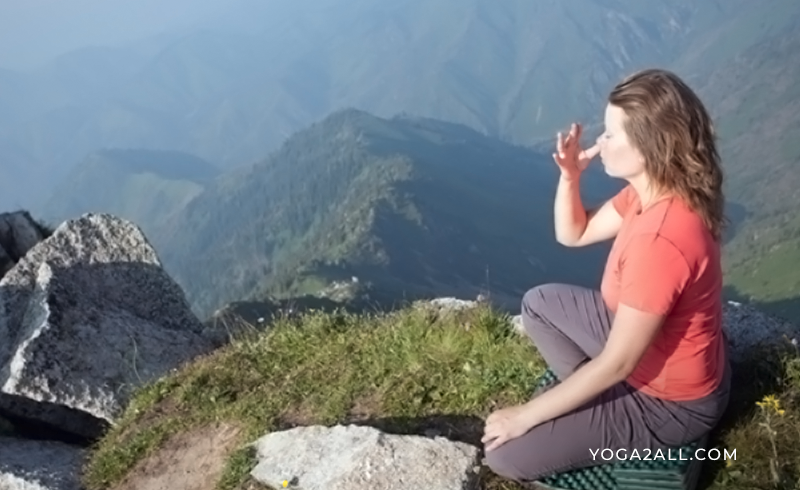 Right nostril breathing pranayama is also called Surya Bhedan or Revitalizing Breathing exercise. Right Nostril is called Pingala Nadi that helps you to get more energy in your body. The main purpose of this right nostril breathing pranayama is to improve and increase the Pranic Energy, the physical energy, and to revitalize the body. This breathing exercise helps us to revitalize the supportive nervous system, helps us to minimize depression and or anxiety and also helps us to feel re-energized. At first sit in a comfortable way and cross both of your legs. Now align your head and your neck with your spine. Now you need to bring your right hand up to your nose and use index finger to close your left nostril. Now inhale deeply through your right nostril. You can pause for a moment, I meant just for a seconds and hold your breath. Now you need to release your index finger and close your right nostril with your right thumb. Now exhale very slowly and comfortably out of your left nostril. You can repeat this exercise for sometimes. Say for 2-3 minutes. Right nostril breathing pranayama helps you to get more energy. It helps you to increase the efficiency of your digestive system. It helps to enhance your nervous system. It helps to increase your body temperature that helps to remove Mucus from your body. It is a good pranayama for obesity. It is great for weight loss. It is good to reduce depression and best for low energy. It is one of the best stress management exercises. Right nostril breathing helps in reducing anxiety, depression, sleep disorder etc. It balances the blockages in the pranic energy channels that are the pat of spiritual consciousness.